Hey.. Hey.. Hey?? Fellow Book lovers I am back today with a review on a book I purchase. 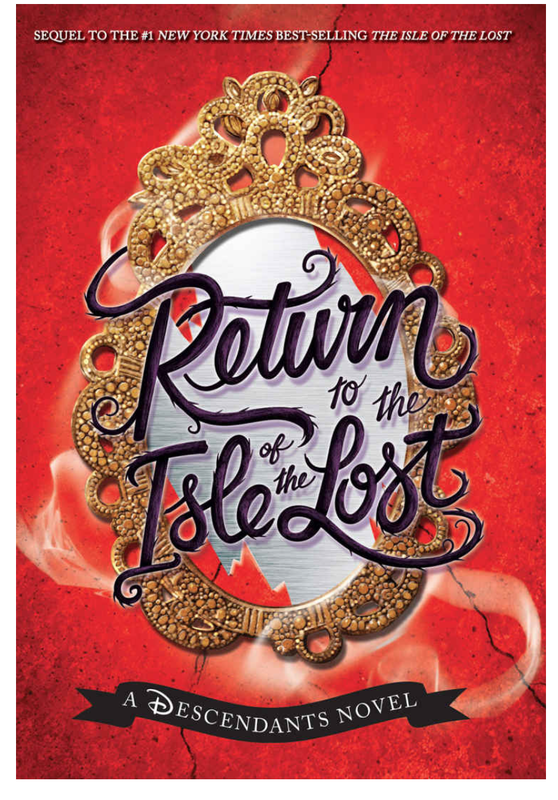 The Book is Melissa de la Cruz, “The Return to Isle of the lost”. It is the second book in the original Descendant Series. It was publish between Descendants One and Descendants two movie. I purchase it recently from Amazon since the Second Descendants movie will be out in July, And I have wanted to read all of the books since the first movie. Now lets get to the summary of the book along with the review. 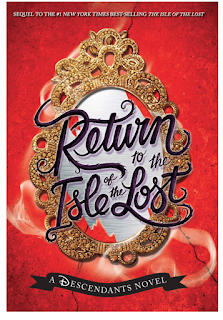 This book is about How Mal, Evie, Jay and Carlos going off to the Isle of the lost again. At first they are receiving secret messages from the Isle and they think it is one of their parents or all of their parents trying to get them to return to the isle since Mal turn her mother into a mini dragon. Then they find out a fake group of Villains turn to heroes lure them to the Isle because Jay, Carlos and Evie’s parents went looking for new magical items that could destroy Auradon. Now Evie, Mal, Jay and Carlos have to find these magical items before the villains and save everyone. Plus everyone is trying to figure out how a magic dragon that looks like Maleficent is flying around big size again since her mini dragon version is still, under lock and key. But if you want to know how this book ends, you need to read it. Its not going to end the way you think it will.